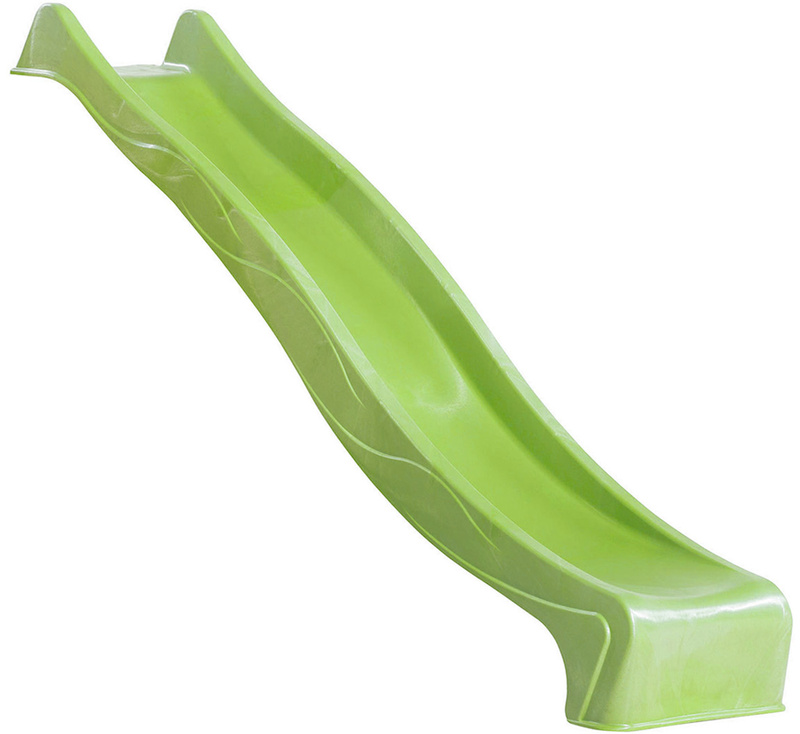 This 3 metre Light Green Children's Wavy Water Slide will give any climbing frame or play set that 'fresh' look. 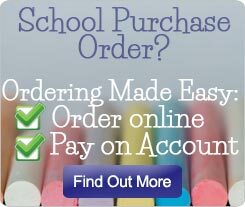 You may want to brighten up your play equipment without going for a really unnatural colour. This is where the apple green slide will be perfect for you. 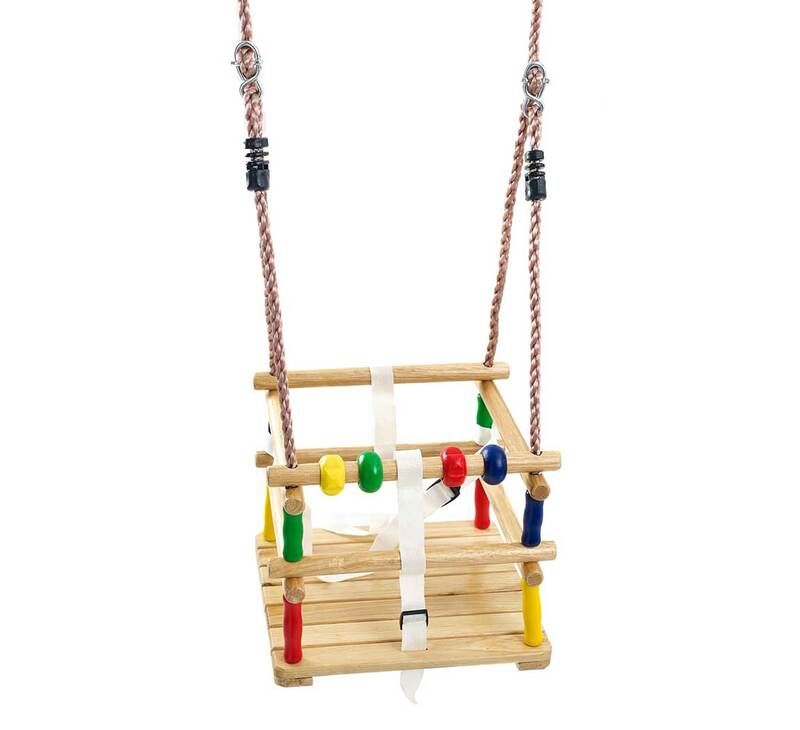 You can add this slide to an existing climbing frame, a DIY project such as a tree house or fort or even add it as an addition to a climbing frame model you are designing. 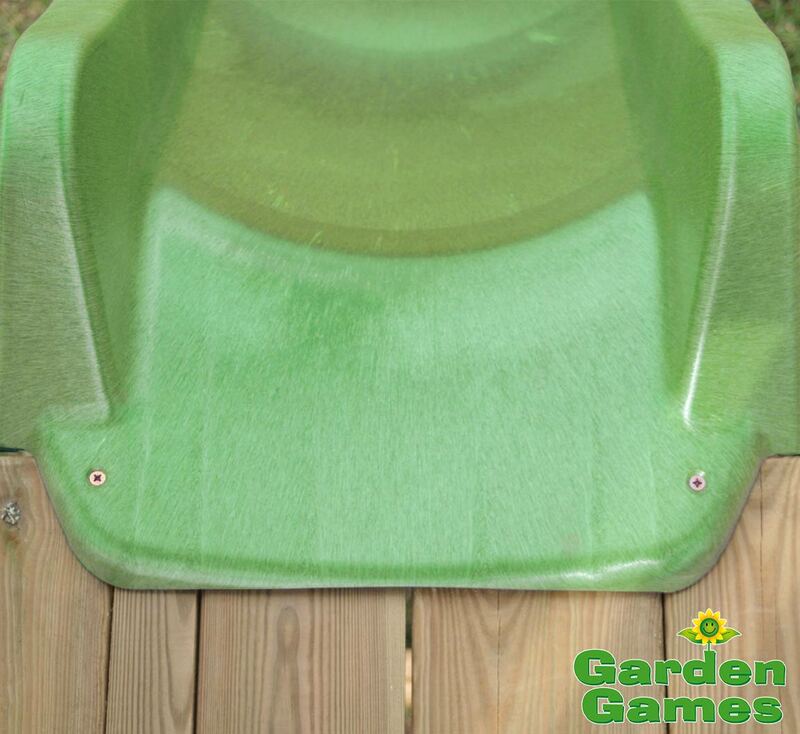 Whatever your purpose, this slide is solid, sturdy and the wave design adds a more exciting slide experience to any play equipment. 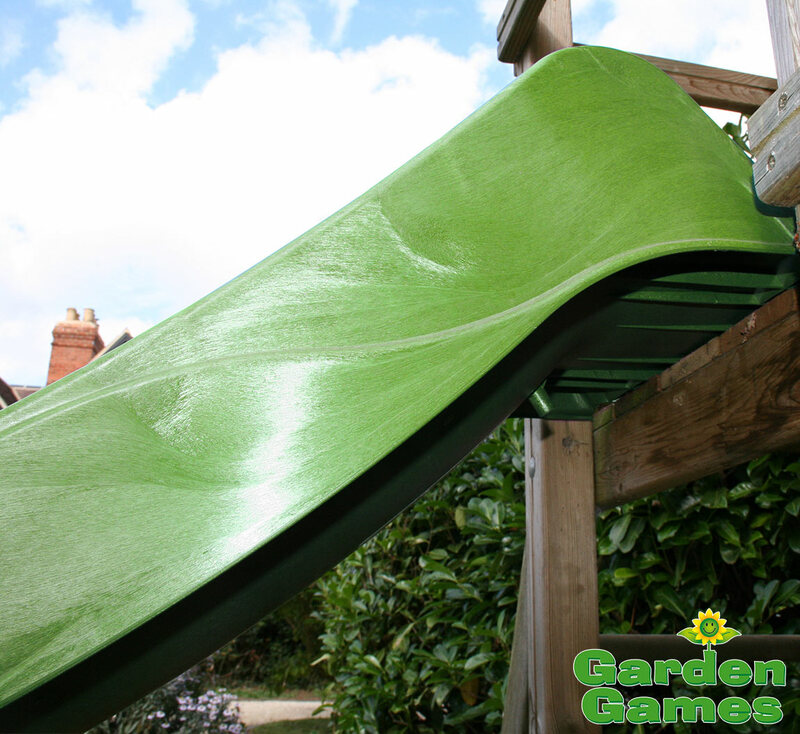 The plastic the slide is made from is high density, so will continue to look new after years outside in all weathers. 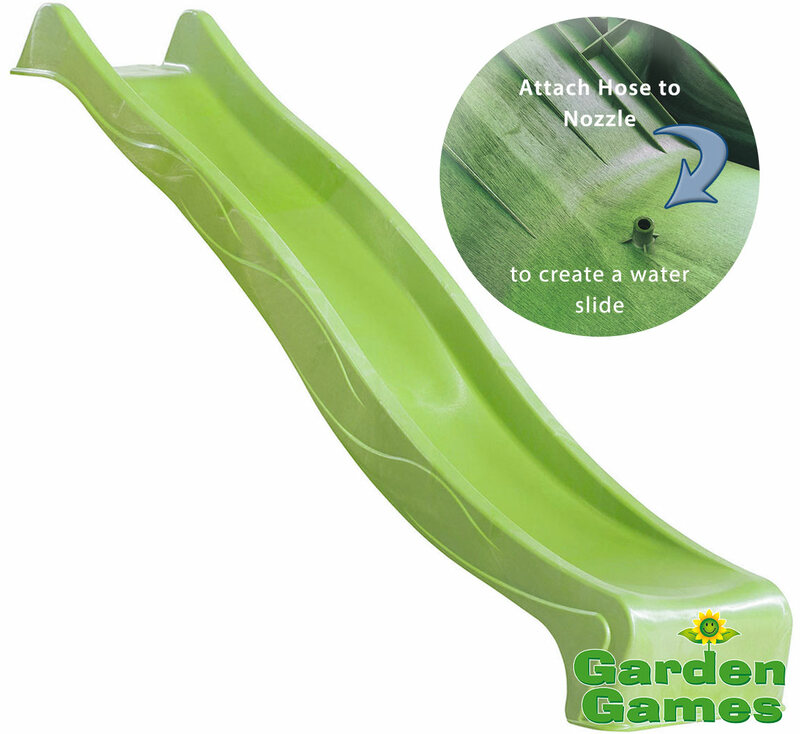 This slide can now also be used as a water slide - just create a hole where the pre-made nozzle is (instructions included) attach your hose and watch as your children zoom down it on a hot sunny day. 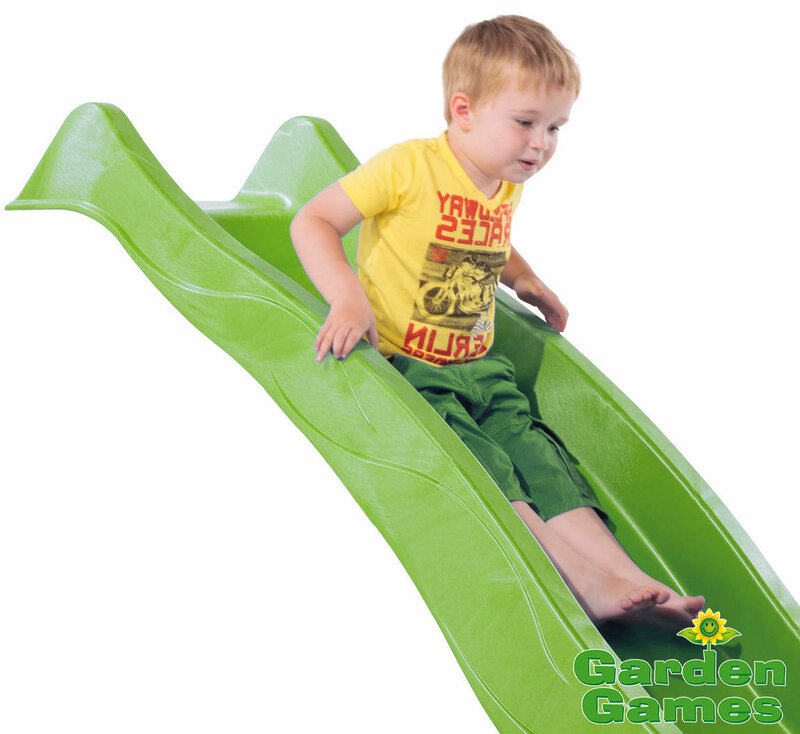 Can be used for slightly shorter platforms, although this will decrease the angle of the slide making it more difficult to slide down.